Samuel Alexander Kinnier Wilson (SAKW) (1878-1937) is distinguished throughout the neurological world for 1) the disease that bears his name, 2) his scholarly two-volume textbook which was published posthumously in 1940, and 3) his founding in 1920 of the Journal of Neurology and Psychopathology, now known as the Journal of Neurology, Neurosurgery and Psychiatry. Samuel Alexander Kinnier Wilson (1878-1937). In 1931, Sherrington invited SAKW to participate in a symposium on muscle tone at the first International Congress of Neurology in Berne. Sherrington and SAKW were elected as president and secretary-general respectively of the second International Congress of Neurology in London in 1935, but Sherrington later had to withdraw due to ill health. 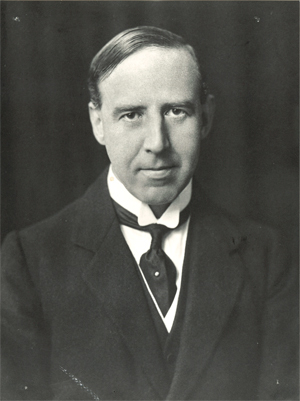 In 1933 Sherrington and his joint Nobel Prize (1932) winner, Adrian, both proposed SAKW for the fellowship of the Royal Society. 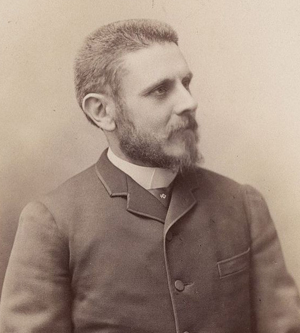 Pierre Marie (1853-1940). SAKW’s first influence in Paris. Guided by his future father-in-law Alexander Bruce (1854-1911), an Edinburgh physician, with an interest in neurology, who also founded a neurological journal (Review of Neurology and Psychiatry 1903-1916), SAKW understood that Paris was the leading world neurological center at the turn of the 20th century. Hence, his seminal year (1904) influenced by Marie, Babinski, Dejerine and Meige among others, before proceeding to the National Hospital, Queen Square. He published his famous Edinburgh thesis on hepatolenticular degeneration (later called Wilson’s disease) in 1912, not only in Brain but also in Revue Neurologique. Furthermore he presented his work in French to the Société de Neurologie de Paris on Jan. 25, 1912, where it was very well received, but I cannot trace any record of a presentation to any UK society, such as the Section of Neurology of the Royal Society of Medicine in London. Just as Charcot had been a regular visitor to the UK in the late 19th century, so SAKW was a frequent visitor in the new century to France, where Crouzon, Guillain and Léri were particular friends and collaborators. Octave Crouzon (1874-1938). SAKW’s contemporary and friend in Paris. (Courtesy of Emmanuel Broussolle). It is interesting that even at the 17th International Medical Congress in London in 1913 the French delegation was the dominant influence in the Section of Neurology/Neuropathology, the proceedings of which were published in detail in Revue Neurologique but not in any English journal. Following that Congress SAKW and nine other British physicians were elected “Membres Correspondants Etrangers” of the Société de Neurologie de Paris, which had been founded in 1899. In the last 25 years, I have had the privilege of working with SAKW’s son, James KW, a Cambridge-based assyriologist, on the subject of Babylonian neurology and psychiatry. Through James KW, I have learnt most about his father’s French connections. I have in my possession SAKW’s original seven-page brochure listing the members of the Société de Neurologie de Paris for 1926. It now includes 76 Paris-based neurologists, 60 French neurologists from beyond Paris and 128 international members from around the world, mainly Europe and the U.S./Canada, including 14 from the UK. Although the Neurological Society of London had been founded earlier in 1886 and had evolved in 1907 into the Section of Neurology of the Royal Society of Medicine, it had remained a small almost exclusively London-based Society. When the Association of British Neurologists (ABN) was founded in 1933, it had only 25 members. Reynolds EH. Kinnier Wilson and Sherrington. J Neurol Neurosurg Psychiatry 2008;79:478-9. Reynolds EH. Kinnier Wilson’s French connections. Rev Neurol 2014 Jun 3. pii: S0035-3787(14)00840-6. doi: 10.1016/j.neurol.2014.03.011. 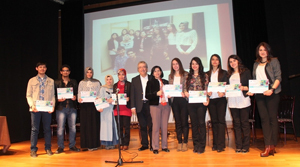 The Turkish Brain Action Group was founded from suggestions of the European Brain Council in August 2013. 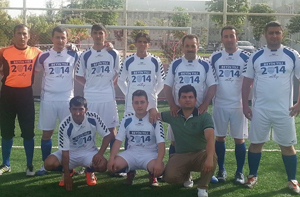 Group members quickly organized a “Brain Year” in Turkey in 2014. The Turkish Brain Action Group consists of neurology, neurosurgery, psychiatry, and other disciplines related to neuroscience and patient organizations. Currently, 16 different societies presents in the action group. 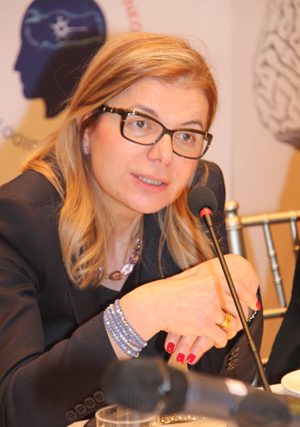 The 2014 Brain Year Turkey opening conference moderated by Prof. Rana Karabudak, under the leadership of Turkish Neurological Society, was successfully held on Feb. 18, 2014, in Ankara, Turkey. The conference aimed to announce all the projects of Brain Year in 2014 and touch on the issues regarding the brain awareness in Turkey. (See Photo 1.) 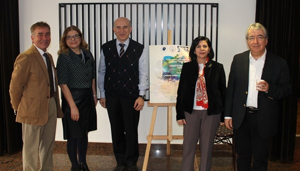 The invited speakers included the representatives from the Turkish Neurological Society’s board members, experienced members, vice chancellor of Hacettepe University of Medical School and the prominent representatives of the neurological sciences specialty societies. 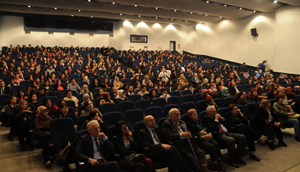 Turkish Neurological Society holding an annual congress every year with 1,500 participants. 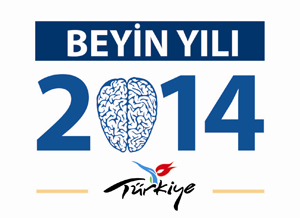 This year we are celebrating our 50th Congress and planed a special session on Brain Year in Turkey. During our national congress the contest results will be announced at the gala dinner and an outdoor event will be organized “Walking With the Neurons”. The brain year website consists all the events and announcements and we use social media quite effectively with our Facebook and Twitter accounts. Under the direction of Dr. Victor Fung, the Congress Scientific Program Committee (CSPC) made every effort to ensure that the science for the 18th International Congress was diverse and educational. The 2014 Scientific Program incorporated therapeutic plenary sessions, plenary and parallel sessions, teaching courses, video sessions, skills workshops, controversies, blue ribbon highlights, poster sessions and guided poster tours. There were 13 sessions focused on this year’s theme of “Emerging and Experimental Therapies,” which gave participants an educational and comprehensive overview on the subject. A unique session was introduced this year to the Scientific Program called, “Late-Breaking Clinical and Scientific Topics Relevant to Movement Disorders.” This parallel session was designed to help participants understand and appreciate the latest clinical and scientific discoveries relevant to movement disorders, as well as understand the role of new clinical discoveries for basic science and understand the role of new basic science discoveries for clinical progress. Also of note was the Movement Disorders Grand Rounds Parallel Session. In this interactive session, volunteer patients with a known complex movement disorder were presented to one of four movement disorder “experts.” This year’s experts included Bastiaan Bloem (Netherlands); David John Burn (United Kingdom); Beom Jeon (Korea) and Claudia Trenkwalder (Germany). The patient’s history and clinical findings (including video of the movement disorder) were presented by the expert, who then reviewed the history with the patient and highlighted and demonstrated the neurological signs to the audience. The expert’s job is to generate a differential diagnosis and management plan which can be critiqued by his/her fellow experts, the audience and the chairs. 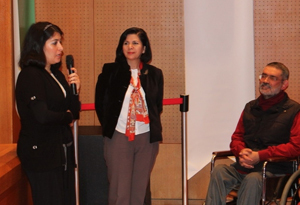 The final diagnosis and learning point were then presented after the expert and audience discussion was finished. The session showed how a movement disorders expert takes a clinical history and performs a movement disorders examination of a patient to generate a diagnosis and a management plan. The always popular video challenge was held on Wednesday night with Masters of Ceremony Anthony Lang and Kapil Sethi. A world-renowned panel of Movement Disorders experts including Victor Fung (Australia); Orlando Barsottini (Brazil); Daniel Healy (Ireland); Björn Holmberg (Sweden) and David Riley (U.S.) guided participants through unique Movement Disorder cases. The cases were presented by representatives from Movement Disorder Centers around the world and discussed by the Panel of Experts. Awards were given for the most interesting and challenging cases. The goal of this session was for attendees to learn from a series of unusual, very interesting patients and see how senior experts approach these types of challenging cases. The International Parkinson and Movement Disorder Society (MDS) would like to extend their gratitude to faculty, supporters, exhibitors and delegates for traveling to Stockholm and for helping make the 18th International Congress of Parkinson’s Disease and Movement Disorders another successful meeting. The idea to use cannabis plants to treat seizures is not new. From ancient China, through Babylonia and Palestine, Egypt and India, cannabis plants were used to treat many different maladies — among them seizures. Throughout the centuries, cannabis plants were considered magical by some and evil by others. This is not surprising given what is now known about the psychotropic properties of these formidable plants. The interest of cannabis and their use for treatment of seizures has come in to the limelight in the recent years. Cases of epilepsy patients who have achieved seizure freedom using marijuana have been circulating on the Internet. Social networks have contributed by organizing interest groups and chat rooms to discuss this issue. The case of Charlotte, a child with Dravet syndrome who stopped having seizures after experiencing up to 50 seizures a day, ignited the epilepsy world when presented on CNN. Charlotte had failed all antiepileptic drugs (AED) available and when finally treated with cannabidiol (CBD), a component of marijuana, the effect was miraculous. The patients are absolutely right to ask all these questions. Despite having 30 AEDs to use, about 30 percent of all patients with epilepsy are medically intractable. They continue to have seizures that eventfully cause cognitive, behavioral and psychiatric problems. Patients lose their jobs, their ability to drive, and to take care of their families. Stigma associated with epilepsy still exists, SUDEP is a real tragedy. In children, the effect of continued seizures on the developing brain could be devastating. Multiple studies have shown that children with uncontrolled seizures have a lower IQ later in life. Antiepileptic drugs, even when controlling the seizures, often cause side effects that interfere with the patient’s quality of life. The long-term safety profile is not known for most of the AEDs and that alone causes additional anxiety among patients and parents of children with epilepsy. Is cannabis the solution that we have all been waiting for? This is what we know: Cannabis sativa and Cannabis indica are two species of the Cannabis genus plant. Both plants produce multiple compounds called cannabinoids. Among them, two are of particular interest to us: tetrahydroxycannabiol (THC) and cannabidiol (CBD). These two cannabinoids were first isolated and characterized in the 1960s. THC has gained much more interest from the research world mostly because of its psychotropic properties causing significant cost to our society. CBD accounts for up to 40 percent of the plant’s extract and has none or very little psychoactive effects. CBD, however, has shown anticonvulsive properties when tested on animal epilepsy models. It is important to note that while the CBC anticonvulsant effect appeared to be promising in the acute models of seizures, there is less evidence that the effect is the same when tested on animal models of chronic epilepsy. The effect of seizure control in humans has not been studied well enough. There were only four randomized controlled trials (RCT), which were all done between 1978 and 1990. These studies included small number of patients (total of 48) who underwent a short length of treatment. Due to these and other methodological limitations, these clinical trials failed to provide evidence about the efficacy or safety of cannabinoids in patients with epilepsy. Cannabis and its effect on seizure control on kids with epileptic encephalopathies has been one of the most discussed topics among patients’ families. There are no studies done so far, but there was a recent survey of 19 parents that is worthwhile to note. Twelve of the parents who responded to the survey have children with Dravet syndrome, one parent was with a child with Lennox-Gastaut Syndrome (LGS). All patients were treated with CBD enriched cannabis and products containing primarily CBD. The results reported by the parents were impressive — 53 percent of the parents reported 80 percent seizure reduction and 11 percent of the children were seizure free during the three-month trial. Among the 12 patients with Dravet syndrome, 42 percent reported more than 80 percent reduction in seizures. Serious side effects were not reported, only few parents noted drowsiness and fatigue. Most parents reported increased alertness. While these results are very impressive, they should be taken with caution since they are based solely on the parents’ reporting. In addition, the exact formulation of the different cannabis extract used by the parents is unclear. The exact mechanism of action of the cannabinoids is not completely known. TSH was found to bind to two G-protein–coupled cell membrane receptors, named type 1 (CB1) and type 2 (CB2). CB1 receptors were found primarily in the brain, but also in several peripheral tissues (GI tract, adipose tissues, pancreas, muscle). CB2 receptors are mainly found in immune and hematopoietic cells. THC is the main psychoactive agent found in cannabis. CBD does not have psychoactive properties. This is perhaps because it does not activate CB1 and CB2 receptors. CBD reduces the psychoactive effects of THC; therefore it enhances its tolerability. CBD may supplement the antispastic effect of THC. This is because when used in combination, patients can tolerate higher doses of THC. Moreover, its anti-inflamatory, antioxidant and antiexcitotoxic mechanisms also contributes to the effect. The mechanisms by which CBC works as anticonvulsant are not entirely known. Different mechanisms of action have been proposed— most of them related to the reducing of neuronal excitabilities and neuronal transmission, while some others propose an anti-inflammatory effect. CBD is potentially involved in neuroinflamation by the reduction of new astrocyte production. This summary of the mechanism of action of the cannabinoids is incomplete, leaving behind many other molecular mechanism of action identified in animal models which are not clearly associated with any anticonvulsive effects, therefore, they will not be discussed here. So, what do I tell my patients? I tell them that I am as interested as they are in finding new therapies for epilepsy and if cannabis is proven to be “The New Therapy” I will be very eager to use it on all my medically intractable patients. However, I tell them that the scientific evidence for cannabis is lacking. I also try to point out that the reports circulating the web should be taken with great caution. These reports are mostly biased from the selection of the patients to the reported outcomes. In addition, every case of epilepsy is different and the disease is highly variable. I ask them not to base their decision to move to a state where medical marijuana is now legal based on anecdotal reports. I remind them to consider the fact that the marijuana growers follow no regulations and safety standards and that the products that they are offering often contains different percentages of CBC and THC among the 80 or more cannabinoids that the cannabis plants produce. 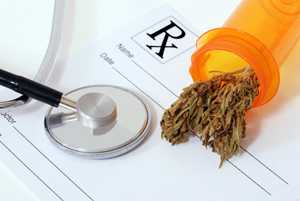 Interactions between cannabis and currently used AEDs have not been studied, and are therefore unknown. Adding a new substance to an already very complex mix of medications can be dangerous, especially when it is not supervised in a medical setting. The concern of the long-term side effects of the AEDs is valid, but the long term effects of cannabis products on the brain should be considered as well. There have been reports on negative effects of cannabis on the developing brain. In adults, use of cannabis has been associated with worsening of executive function over time. Viewing cannabis use as a more natural way of treatment does not mean that cannabis effects should be taken lightly. AEDs that we use today have gone through years of studies and extensive testing before being approved by the FDA. There should be no reason for the cannabis product to be treated any differently. My conversations with patients about seizures and medical marijuana will continue. As a physician, I support the idea that CBC should be studied for its possible anti-convulsive properties. I do not support legalization of marijuana, but I also realize that current status of medical marijuana as a Federal DEA Schedule 1 controlled substance stands in the way of medical research that needs to be done, so I can give my patients more definite answers. Until this happens, I will continue with my mantra: randomized double blinded placebo-controlled studies are needed to determine the efficacy and safety of CBD and other cannabinoids as potential treatments of epilepsy. The Journal of the Neurological Sciences (JNS) is a broad-based journal which publishes articles from a wide spectrum of disciplines, ranging from basic neuroscience to clinical cases. In an upcoming issue of JNS, we will be acknowledging our peer reviewers. The individuals whose names appear in the list have provided peer reviews of manuscripts which were submitted to JNS during the past year. This elite group of individuals from around the world includes some of the best and brightest minds in neuroscience and clinical neurology. They receive no remuneration for their work for the journal and take time from their busy schedules to review our articles. All of the associate editors and I thank them for their indispensable work. The journal would not survive without their expert advice. I express my most sincere gratitude to all of the reviewers. They inform and enlighten all of us in the editorial office and help to make JNS a journal of the highest quality. In our ongoing attempt to enhance accessibility of JNS articles to members of the World Federation of Neurology (WFN), we have selected two “free – access” articles, which are profiled in this issue of World Neurology. Despite its legendary status, controversy exists regarding the diagnostic accuracy and usefulness of the Babinski sign in determining pyramidal tract dysfunction. Much of the variability in the assessment of the diagnostic accuracy of the Babinski sign is due to studies which do not follow simple but important methodological standards. The paper by S.P. Isaza Jaramillo, et al. is exceptional in this regard. This paper describes a simple but methodologically rigorous study to ascertain the diagnostic accuracy of the Babinski sign for identifying pyramidal tract disease. One hundred and seven (107) patients with limb weakness were assigned a random identification number for blinding purposes. Two neurologists elicited a plantar response in each patient in a standardized manner. The examination was performed in a blind and independent manner, and each examination was filmed to quantify intra-observer variability. The reference standard for diagnosis of pyramidal tract dysfunction was provided by a senior neurologist who examined every patient independently and had available the patient’s history, complete neurological examination, laboratory and neuroimaging results. Compared to the reference standard, the Babinski sign had a very high specificity of 99 percent (CI 97.7-100), but moderately low sensitivity of 50.8 percent (CI 41.5-60.1) in identifying pyramidal tract dysfunction. These findings indicate that a Babinski sign elicited in a standardized manner by an experienced practitioner has high diagnostic accuracy for identifying pyramidal tract disease. However, in view of the low sensitivity, the absence of a Babinski sign does not rule out pyramidal tract dysfunction. Jaramillo SPI, Uribe CSU, Jimenez FAC, Cornejo-Ochoa W, Restrepo JFA, Roman GC. Accuracy of the Babinski sign in the identification of pyramidal tract dysfunction. J Neurol Sci 2014;343:66-68. In an editorial in the same issue of JNS, Austin Sumner provides an historical perspective on the Babinski sign and discusses the more recent controversy concerning its diagnostic usefulness. He concludes that the “confidence traditionally placed by clinicians on this simple test is justified” with the caveat that its absence does not rule-out pyramidal tract disease. Sumner AJ. The Babinski sign. J Neurol Sci 2014;343:2. By Gustavo C. Román, M.D. Encouraging news for the prevention of autism emerged from the results of a research study conducted by an international collaborative team conformed by Prof. Gustavo C. Román, MD, from the Methodist Neurological Institute (Houston, Texas) and researchers from the Generation R Study at Erasmus University Medical Centre in Rotterdam, The Netherlands, including Akhgar Ghassabian, MD, PhD; Jacoba J. Bongers-Schokking, MD, PhD; Vincent W.V. Jaddoe, MD, PhD; Albert Hofman, MD, PhD; Yolanda B. de Rijke, PhD; Frank C. Verhulst, MD, PhD; and Henning Tiemeier, MD, PhD. The results point to the deficiency of maternal thyroid function during the first trimester of pregnancy as a significant factor in the causation of autism in the child. Pregnant women with deficient thyroid hormone are nearly four times likelier to produce autistic children than women with normal thyroid function. The study was published in the prestigious journal Annals of Neurology1. The research was conducted in a cohort of more than 4,000 Dutch mothers and their children, and it supports the view that autism can be caused by lack of maternal thyroid hormones T4, also called thyroxine, and T3, which is crucial to the migration of fetal brain cells during embryo development, early in pregnancy. The most common cause of thyroid hormone deficiency is a lack of dietary iodine, given that T4 contains four atoms of iodine. There are also environmental contaminants and dietary factors that affect thyroid function2. 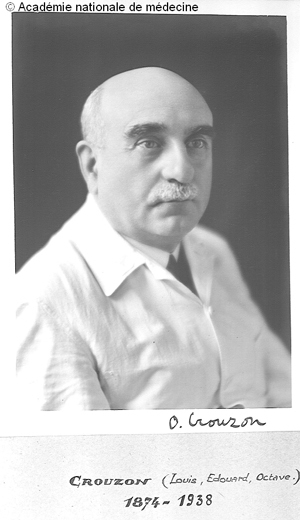 According to Prof. Román, the hypothesis linking thyroid and autism originated from his early experiences as a neurologist in the Andes of South America where the deficiency of iodine in table salt results in high prevalence of goiter and congenital problems in children including high rates of deafness, borderline mental retardation and, in the most severe cases, endemic cretinism. (See Figure 1.) Román recently described this topic in detail3. Iodine deficiency remains common throughout the world; including industrialized countries where it was believed to be eradicated by the use of iodinated salt. This could explain the upward trend in the incidence of autism observed in these countries. Another factor is the lack of determination of T4, T3 and urinary iodine levels in expectant mothers early in pregnancy, and the use of prenatal vitamin supplements lacking the extra supplementary iodine needed during pregnancy and lactation. The complex gene network regulated by thyroid hormone during brain development is being deciphered with the use of experimental animal models4 and should provide a better understanding of the complex problem of autism spectrum disorders. Gustavo C. Román, M.D., neurologist and first director of the Nantz National Alzheimer Center at Houston Methodist Hospital, has been awarded the Doctorado Honoris Causa, the highest academic accolade given by the National University of Colombia. Lecturers and participants of the 25th Summer Stroke School. 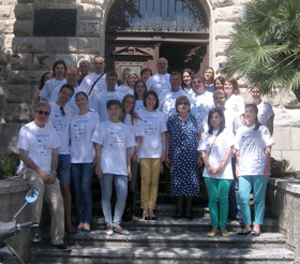 This year in Dubrovnik, under the auspices of the Department of Medical Sciences – Croatian Academy of Sciences and Arts, our traditional 25th Summer Stroke School was held from June 9-13. The event was organized by Inter-University Centre in Dubrovnik, Croatian Stroke Society, Zagreb Institute for the Culture of Health, School of Medicine University of Zagreb, Central and Eastern European Stroke Society and the Applied Research Group on Delivery and Care of the World Federation of Neurology. Directors of Summer Stroke School are: Prof. Vida Demarin (Croatia), Prof. Roman Haberl (Germany), Prof. Kurt Niederkorn (Austria), Prof. Tatjana Rundek (U.S.) and Prof. Zlatko Trkanjec (Croatia). The course brought together top experts from all over the world: Natan Bornstein (Israel), David Russell (Norway), Moise Desvarieux (U.S.), Yoshikazu Yonei (Japan) who, together with above mentioned course directors, shared their knowledge and experience with participants during the whole week, both from clinical work as well as from their rich scientific life. The aim of this course is to contribute to the global fight against stroke, by increasing the knowledge, exchanging experiences and supporting the cooperation among the 60 participants from all over the world, from Albania, Bosnia and Herzegovina, Serbia, Macedonia, and Slovenia as well as from distant Kazakhstan, Zambia and Japan. Also, participants had the unique opportunity to exchange national data on stroke and discuss specific problems that are unique in some countries and together try to solve problems related to stroke, be they medical, economic or other nature. During the week, participants presented interesting cases of stroke patients; there have been a total of 32 lectures and 30 presentations of interesting cases by the participants themselves. It was a fruitful and unforgettable experience for all of us. Figure 1. Evolutions, by the time, of economy data and number of neurologists and facilities in Sub-Saharan Africa (South Africa and Maghreb not included). At the end of 2014, 15 new young neurologists will contribute to increase the number of rare specialists in Sub-Sahara-African countries. These new cohorts have been trained in Dakar, Abidjan and Addis-Ababa. They originate from Benin, Burkina Faso, Cameroon, Comoros, Ivory Coast, Ethiopia, Mali, Mauritania, Niger, Rwanda, Senegal and Togo. Their professors are from African universities with the support (by short visiting professorship collaboration) of French and North American colleagues. The four-year content of their training program was very broad, similar to any courses worldwide and composed of all aspects of neurology, including neuro-anatomy, neurophysiology, basic neuroscience, semiology, pathologies and strategies of care. Courses focus on the most prevalent neuro-conditions in the African continent and how to adapt ideal management to the local socio-economic realities. Practical training was obtained with clinical outpatient and inpatient tasks, under the auspices of assistant and senior professors. In neurological departments, but also in other services such as cardiology, psychiatry, internal medicine, pediatrics and some ground visits and duties in provinces or suburban areas. That type of course is applied to selected MDs who intend to specialize in neurology since two decades in Africa. Before the 1990’s, African neurologists were, in majority trained abroad in ex-colonizing countries i.e. France, UK, Belgium, Portugal, Germany, Russia or Switzerland. The good news is that in 50 years, from 1974 – 2014, the number of neurologists has multiplied by more than 30 while the population has multiplied by three in Sub-Saharan Africa. It’s crucial and very interesting to see that the same situation is noted regarding the economy. One can see that the Growth Development Product has followed the same dramatic evolution, rising from $461 billion in the 70’s to up to $1,500 in 2008. The continent faces the third fastest GDP growth after the “Dragons” and Petrol-Middle-East Region as shown in Figure 1 (courtesy furnished by Pr Perucca, Pdt of the ILAE). The same remark can be done about diagnostic facilities (EEG, EMG, and neuro-imaging facilities). That let us see that when the general economic situation improves, the “neuro-conditions” improve in term of human and material resources. This is encouraging and is a reason for being more optimistic. 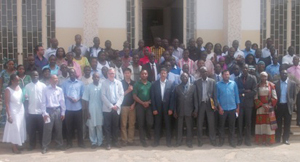 A training course in neurology and epileptology in Dakar, with trainees and faculty coming from different continents. But there is still so much to achieve. While WHO recommendations is to reach at least the ratio of one neurologist for 50,000 people in a state, the fact in Sub-Saharan Africa is, in the “best” case, one for 500,000 (Ivory Coast and Senegal). In Ethiopia, the ratio was one for 10 million people 10 years ago; it is now one for 5 million. All the French-speaking countries have now at least one neurologist. Few countries have just one neurologist. Nowadays, only very rare sub-African countries do not have even one single neurologist (Cape Verde Islands, Gambia, Equatorial Guinea, Guinea-Bissau, Liberia, Sao Tome and Principe). One can remark that the majority of them are Portuguese-speaking states. Many countries have tenfold more native neurologists in North America, Europe or the Gulf countries than locally. In 15 years, few immigrant neurologists still residing abroad are initiating annual or bi-annual short-term periodic come-back-home for teaching and supporting somehow research, equipment and care. It’s also very encouraging to see that the number of training courses has dramatically increased these last years. If we consider all training courses dedicated to the nervous system and co-organized by Pan-African Association of Neurological Sciences (which will soon become African Academy of Neurology), Society for Neurosciences in Africa, and almost a dozen of international bodies (WFN, IBRO, EFNS (now EAN), ILAE and IBE, AAN, SFN, WSO, PAUNS, HIS, ICNA, MDS) their number and quality is increasing. They occur every year in English or French. But the challenges are still huge. The Sub-Saharan Region of Africa still needs many more neurologists for filling the gap. Every professor who has ever lectured in Africa is amazed by how motivated and thirsty for learning the trainees are. Many volunteers come and spend a few days with young MDs specializing in neurology and neurosciences for theoretical lessons and clinical activities. 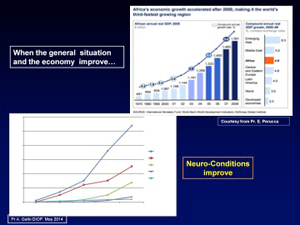 The ultimate goal is to increase, by massive training, the number of neurologists in Sub-Saharan Africa. Let us share this formula from Sam Kinyangui (cited by Charles Newton, Kenya) and which could be our common vision about Neuro-Training in Sub-Saharan Africa: “Attract, Train, and Retain.” At this moment, several universities have set up curricula for training in neurology: Dakar since 50 years, Abidjan since 20 years and more recently: Addis Ababa, Cotonou, Kinshasa, Lome, Yaounde and some Nigeria’s cities which university teaching hospitals are training grounds. They do not partake in the final diploma because the two awarding bodies are The West African Post Graduate Medical College, and the National post Graduate Medical college, if we refer to Pr Ogun, Nigeria. Four to six new trained neurologists from new training sites (Lome, Cotonou, Yaoundé) will graduate from 2015 and 2016. Individually, or under the auspices of bilateral academic cooperation or the umbrella of international neuro-institutions, the short visiting professorships, in cooperation with local faculty, should be encouraged by any mean (finances, teaching materials and slides, neuro examination means and books). Gallo Diop is with the World Federation of Neurology Africa Initiative. Gouider is the World Federation of Neurology Africa Region Chair. This book reviews the history of the first 50 years of the WFN which was officially founded in 1957. One question immediately comes to mind: Why 1957? There may be a debate about the “date of birth” of neurology, but everybody agrees that it was firmly established as a discipline by the first part of the 20th century or even before that time. In subsequent years, there were several meetings attended by international members, even though the two World Wars forced the cancellation of some of these meetings. Why then did we have to wait until 1957 to see the foundation of WFN? One probable reason is that international collaboration, like international travel, was much less common than it later became. It took the strength and charisma of one man, Ludo van Bogaert, to carry through the creation of the federation. Note that in its early years, WFN was “worldly” only in name: Asia, Africa and Oceania were barely represented. Yet it was certainly quite international. A picture in the first pages of the book shows that of 10 delegates participating in an early WFN organizational meeting, one was from Cuba, one from Iran while a third was a neurosurgeon representing India. Iran and India were the only two Asian countries present in the initial years of WFN. In its first years, WFN survived mainly thanks to a grant from the US-based National Institutes of Health (NIH). In this nicely presented volume, Dr. Aarli who has actively participated in the activities of WFN for many years, including a term as president, describes the state of neurology before 1957 and narrates how WFN took shape, evolving gradually into today’s structure and organization. He then describes in varying amounts of detail the organization of the Research Committee and the Research Groups, at first called “Problem Commissions.” Subsequent pages of the volume provide details about the regional neurological associations and the relationship with the World Health Organization. The volume continues with a chapter which further illustrates the close ties of neurology with world events. The Indian neurologist Noshir Wadia went to jail and Jun Kimura (Kyoto, Japan) almost went to jail. Both were absolutely innocent: Wadia had been kidnapped and jailed by the police of the Portuguese dictator Salazar in retribution of India having annexed the tiny enclave of Goa; and the charges of embezzlement brought against Kimura were completely unjustified. Both Wadia and Kimura played important roles in developing neurology and neuroscience in their respective countries and within the WFN. The book concludes with a review of the International Congresses that took place since 1957, first every four years and now every two years. A short but exciting epilogue is written by Vladimir Hachinski who, as president until 2013, perfectly embodied the motto Continuity and Change. This epilogue provides an interesting view into the future of WFN now under the helm of Raad Shakir. One of the interesting features of Dr. Aarli’s narrative is the glimpses it provides into the features and developments of the world at large during those years. It reminds us of how much things have changed in this relatively short space of less than 60 years. For instance, we hear about the relations between the German Neurological Societies when a wall divided the Federal Republic and its Eastern counterpart, the German Democratic Republic. The relations ranged from nonexistent to acrimonious. We witness the very gradual entry of African countries into the WFN as they became independent in the early 60’s. In one of the most thrilling parts of the book, we read about the “slow boat to China.” Dr. Aarli built on the efforts of his predecessors, John Walton and Jun Kimura, and managed a diplomatic exploit. That is certainly what it took to reach the point where delegates from the People’s Republic of China, the Hong Kong Neurological Society and the Taiwanese Neurological Society agreed to sit together. A picture showing the presidents of the three societies posing next to Dr. Aarli illustrates that truly historic moment. Ferro and Claudio Bassetti for ENS) and also to the creation of the Journal, the European Journal of Neurology (François Boller and Per Soelberg Sörensen, founding editors; Anthony Shapira current editor) which will be the official organ of the EAN. Under the auspices of Gustavo Roman and others, an effort is under way to develop an American Federation of Neurological Societies. As can be expected, the development of WFN was far from being always smooth. Dr. Aarli displays the full extent of his elegant diplomacy when he discusses some of the rougher moments of the WFN: “conflicts, problems” and “the usual suspects” are alluded to in ways that will be well understood by WFN insiders. He refers to a real or narrowly avoided catastrophe as “an unforeseen event.” And all the players are hardworking, true leaders full of ideals and integrity. Of course this is true in most cases. However, it is amusing to read the descriptions of some of the same people given elsewhere, for instance the admirable and highly readable book “A Fragmented Memoir: Life and the Teeming Brain” (Bacchante Books, 2013, by John Moossy.) Moossy, a neurologist and neuropathologist, former editor-in-chief of the Journal of Neuropathology and Experimental Neurology lived through many of these events including a one year stay at van Bogaert’ Bunge Institute. Moossy freely distributes high praises to some such as van Bogaert himself and the late Charles Poser, also a very important player in the creation and evolution of WFN. On the other hand, he does not hesitate to use much sharper words for people who played a dominant role in the development of WFN, but who he did not like as much. It is not clear whether Giancarlo Guazzi, an important collaborator of van Bogaert from 1958 to 1968, played any role in the early years of the WFN. Actually Guazzi is not mentioned in the book, but he is indirectly alluded to when we are told that van Bogaert received a Honoris Causa Doctorate in Siena (unfortunately misspelled), Guazzi’s alma mater. This book was reviewed by François Boller MD, PhD, with the Department of Neurology at George Washington University Medical School in Washington DC. The Education Committee of the World Federation of Neurology (WFN) continues its mission to foster neurologic education worldwide via a number of ongoing projects and new initiatives. In January 2014, Dr. Steven Lewis (U.S.) became the new Chair of the Education Committee, following the extremely productive and successful tenure of Co-Chairs Dr. Stephen Sergay and Dr. Wolfgang Grisold. Current membership of the WFN Education Committee, which most recently met at the American Academy of Neurology (AAN) Annual Meeting in Philadelphia on April 28, 2014, includes, (with each name listed with their countries of residence): Sarosh Katrak (India), Cynthia Comella (USA), Morris Freedman (Canada), Riadh Gouider (Tunisia), Alla Guekht (Russia), and new members Bo Norrving (Sweden), Teresa Corona (Mexico), Dasheveg Shuren (Mongolia), Therese Sonan (Ivory Coast), Mostafa El Alaoui Faris (Morocco), Daniel Truong (USA), Erich Schmutzhard (Austria), and Trustee Representatives Wolfgang Grisold (Austria) and Gallo Diop (Senegal). The Education Committee functions smoothly within the WFN under the administrative support of Laura Kennedy, Education Project Coordinator. Some of the ongoing projects of the Education Committee include the monitoring and awarding of educational grants, including the Junior Traveling Fellowships. This year, 28 neurologists from low or lower-middle income countries were awarded Junior Traveling Fellowships to attend international congresses, including the World Stroke Congress and the joint EFNS-ENS congress. The accreditation of Teaching Centers continues, with the goal being to provide high-quality fellowship training centers to fulfill educational needs in specific regions of the world. Current accredited training centers are located in Trujillo, Peru, and Rabat, Morocco, the latter being the most recently accredited site. Dr. Mohamed Albakaye from Mali was recently chosen to be the inaugural fellow in Clinical Neurophysiology at the Rabat Teaching Center under the supervision of Pro. El Alaoui Faris at Mohamed V. Souissi University. There is ongoing review of letters of interest and applications for accreditation from other potential Teaching Centers worldwide. In addition to accreditation of Teaching Centers for year-long fellowships, the WFN and the Education Committee have an ongoing Department Visit program, where neurologists can visit training programs for shorter educational visits. The Department Visit Program in Turkey hosted 4-week visits this past academic year by Dr. Abdullahi Ibrahim and Dr. Yahaya Olugbo Obiabo, both from Nigeria, who visited the Cerrahpasa School of Medicine in Istanbul, and the Gazi University Faculty of Medicine in Ankara, in addition to attending the Annual Congress of the Turkish Neurological Society. Plans for a number of additional Department Visit programs in various regions of the world are in various stages of discussion and development at this time. Austria has just signed the agreement for this program and will host two visitors from Africa. 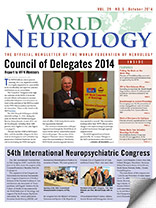 The Continuum: Lifelong Learning in Neurology program is a longstanding and very successful joint AAN/WFN project, whereby 400 copies of Continuum, the official Continuing Medical Education Journal of the AAN, are donated by the AAN to the WFN for distribution to 45 countries for Continuum-based teaching conferences. The WFN continues to monitor this project closely, with updates twice yearly to the Continuum Editorial Board, with ongoing discussions about ways to even further enhance this important program. Finally, the Education Committee is also working on a recent proposal to develop and draft a worldwide neurology training curriculum, which may be of benefit not only to the WFN Teaching Centers but also to any neurology training program. We also look forward to the potential for increased cooperation with the European Academy of Neurology (EAN) in this and other educational initiatives including eBrain. The Education Committee looks forward to continuing its many ongoing programs and pursuing new independent initiatives as well as synergies with other organizations, all to foster and improve the quality and reach of neurologic education globally.